Faced with difficulties in their lives, many people find them too difficult and give up, especially in their dreams of life. But not for Gabriel Heredia. 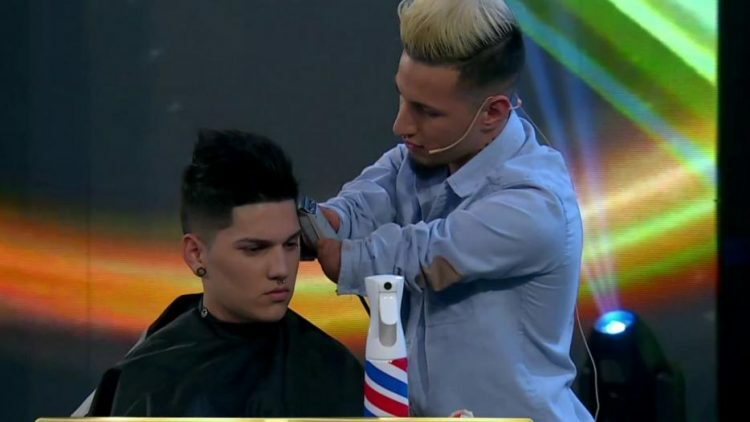 Gabriel is a 20 years old Argentine hairdresser, born without hands. Despite his disability, he was able to grow up happy and independent. He has always had the support of his friends and family, without ever feeling discriminated against by his classmates. In fact, her mother, who is a hairdresser, is inspired by such a line of work. At the age of 14, he began working as a hairdresser and learned all the techniques to perfect haircuts and beard trimmings. Although he first considered it a hobby, Gabriel quickly decided that it was the job he wanted to work in. "I learned to serve a glass of water on my own, I studied, I learned to ride a bike, a motorcycle and even to drive a car," said Gabriel about his big handicap . His family quickly helped him open his first hair salon, where he worked for a year and a half. There, he met Zlatan Gomez, President of Argentina Corta, an organization that allows hairdressers to connect, do charity work in less fortunate neighborhoods and teach hairdressing to those who are interested. Gabriel is now part of Argentina Corta, offering services to people of all ages to develop the skills they need to get decent jobs. As a bright and caring young man, Gabriel strives not only to be a barber, but also to connect with the neighborhood: "What I like the most about my work is that people feel at home. ease makes me happy. " He is also a perfectionist: "I want my store to be the best and have another hair salon too." Perhaps his perseverance comes from the fact that he has had to overcome so many difficulties in his life, but perhaps his energy also comes from being a father. Gabriel has an eleven-month-old son named Tobias, who "gives me strength, I want to bring him up with this message: there's nothing you can not do, you have to improve day after day." Currently, he runs his own hair salon in Buenos Aires, where people line up around the block for his services. A month ago, he opened his shop with his girlfriend Yanina, whose aunt offered him space without rent, and business is booming. Gabriel's story shows us that the obstacles we face in life are almost never completely insurmountable. Whatever problem you face, you can usually face it by innovating, adopting the right mindset and never giving up. When you encounter difficulties in life, what holds you back most often is your own mentality. As the legendary painter Vincent Van Gogh said: "If you hear a voice telling you" you can not paint, "then paint, and that voice will be silenced."